The Obama Administration today announced the National Action Plan for Combating Antibiotic Resistant Bacteria, a proposal to fight drug resistant bacteria responsible for two million illnesses and 23,000 deaths per year in the U.S., says the White House. The plan requires $1.2 billion in funding from Congress in its first year, which is double the nation's current spending, Sarah Ferris reports for The Hill. The plan includes "studying the extent of the problem on farms and lays out plans for developing new drugs that producers can use more safely," Philip Brasher reports for Agri-Pulse, a Washington newsletter. 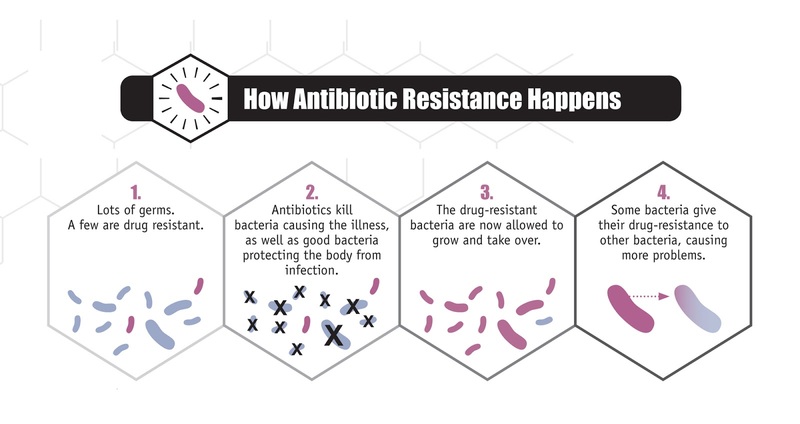 The plan "affirms the steps the Food and Drug Administration has taken to phase out the use of medically important antimicrobials for growth promotion, through the voluntary cooperation of drug makers, and to require veterinary oversight of all other uses of the antibiotics." "It does not set targets for reducing drug usage but includes plans for monitoring the impact of the voluntary strategy and analyzing the extent of resistance on farms," Brasher writes. The plan includes a three-year research goal "to develop three possible alternatives to antibiotics that are now used for growth promotion" and a five-year research plan "to develop alternatives to antibiotics that can be used to treat at least three priority bacterial pathogens." As part of the plan, "federal agencies will be tasked with combating the misuse of antibiotics, both in human patients and in animals, as well as strengthening the infection control practices that are used by health providers across the country," Ferris writes. Funding includes $263.4 million for the Centers for Disease Control to "help every state develop a prevention program, which could prevent 600,000 infections and $8 billion in medical costs." On Thursday the House passed bipartisan legislation that involves extending the Secure Rural Schools program, reports Agri-Pulse, a Washington newsletter. The program, which expired in September 2014, "provides assistance for schools, law enforcement and infrastructure in rural forested communities that lack a tax base to adequately fund such activities." The program awarded about $270 million to 729 counties in 2014, but the $1.1 trillion spending bill that passed in December did not include funds for the program. 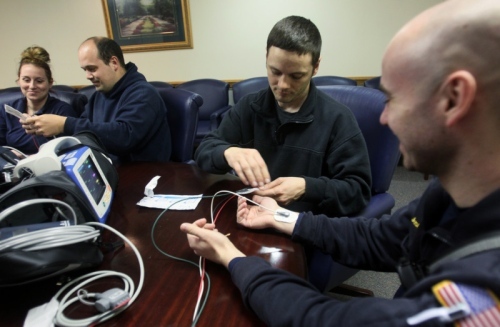 "The extension was included in the Medicare Access and CHIP Reauthorization Act of 2015 (H.R. 2), which contains reforms for how doctors are paid under Medicare and reauthorization of the Children's Health Insurance Program," Agri-Pulse writes. Rep. Greg Walden (R-Ore.) told lawmakers, “What we're doing today is providing a lifeline to our schoolchildren in classrooms in rural counties that are forested under federal land and making sure law enforcement have the resources they need. This will even protect some counties [in Oregon] from going bankrupt because of lack of management and activity on our federal lands." Illegal immigrants are most likely to work in construction in the South and Southwest, manufacturing in the Great Plains states and leisure and hospitality in the West, says a study by the Pew Research Center, Philip Bump reports for The Washington Post. While only 4 percent of undocumented workers are in agriculture, the highest overall percent of illegal immigrants are in that industry, accounting for 16 percent of all employees. The study, which consists of data from 2012, found that 33 percent of undocumented workers are in the service industry; 15 percent in construction and extraction; 14 percent in production, installation and repair; and 8 percent in transportation and material moving, Jeffrey Passel and D'Vera Cohn report for Pew. In an attempt to stimulate the economy of coal-depressed Kentucky counties, state and federal officials Frday announced the formation of the Partnerships for Opportunity and Workforce and Economic Revitalization (POWER) initiative, "which will award up to $38 million in grants to coal communities to support economic and workforce development," says a release from the state. The release said the initiative is designed to use federal economic and workforce development resources to diversify economies; create jobs in new or existing industries; attract new sources of job-creating investments; and provide a range of workforce services and skills training that offer industry-recognized credentials for high-quality, in-demand jobs. Four Democratic senators on Wednesday made a push for legislation that would require the U.S. Department of Transportation "to regulate the volatility of oil being moved in trains, a proposal that goes beyond plans to focus on the design of tank cars," Timothy Cama and Keith Laing report for The Hill. "The bill faces strong industry opposition, and oil, ethanol and freight rail interests have been meeting with White House officials in an effort to dial back the DOT’s upcoming regulations." 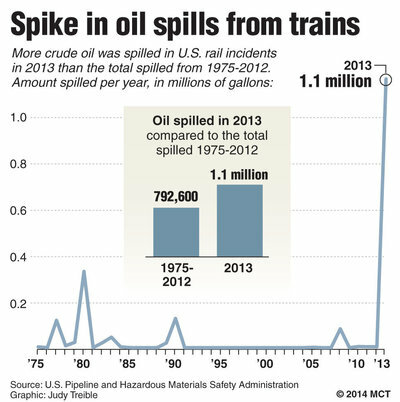 More oil was spilled from trains in the U.S. in 2013 than in the previous 37 years, and 47 people in Quebec died from the derailment of a train running from North Dakota to Maine. There has also been a recent rash of derailments, which led Canada to propose rules to toughen tank-car standards. DOT in October 2014 proposed a two-year phase-out of older tank cars, but the oil and rail industries said that wasn't enough time." In addition to "beefing up design standards for tanker cars, regulators want to phase out older cars in two years, enhance braking systems and reduce rollovers and impose new speed limits in urban areas," Cama and Laing write. But Sen. Maria Cantwell (Wash.), "the top Democrat on the Energy and Natural Resources Committee, said the Obama administration should go further. She disputed assertions that the Transportation Department’s Pipeline and Hazardous Material Safety Administration (PHMSA) lacks the legal authority to regulate the volatility of crude oil." Many of the top answers involved food (Maine lobster, Nebraska corn), but some invoked industry (oil for North Dakota) and natural disasters (tornado was the top answer for Oklahoma), while New Mexico made people think of meth in relation to the show "Breaking Bad," and users didn't have high opinions of Ohio, calling it boring. To see the results, click here. The U.S. Department of Agriculture and U.S. Department of Health and Human Services have released proposed 2015 Dietary Guidelines for Americans. The guidelines, released every five years, "provide authoritative advice about consuming fewer calories, making informed food choices and being physically active to attain and maintain a healthy weight, reduce risk of chronic disease and promote overall health," says USDA. Recommended cutbacks of certain foods have not gone over well with those food producers, who met this week to give feedback on the Dietary Guidelines Advisory Committee's recommendations, Clayton writes. The North American Meat Institute argued that "lean meat, poultry, red and processed meats should all be part of a healthy dietary pattern because they are nutrient-dense protein." Shalene McNeill, a nutritionist for the National Cattlemen's Beef Association, "told the committee that its recommendation to exclude lean meat ignores decades of nutrition science," Clayton writes. McNeill said Americans should be encouraged to eat more lean meat, along with fruits, vegetables and whole grains. Grain, sugar and milk producers also expressed displeasure with the proposed rules. Most nutritionists have embraced the proposed rules but say the key is getting people to adopt them, Andrea McDaniels reports for The Baltimore Sun. Among those rules is limiting sugar intake to 200 or less calories—or 10 percent of total calories—per day. Currently, Americans get about 13 percent of their calories—or 268 calories—from added sugar. "On the flip side, some foods once shunned are now accepted," McDaniels writes. "Research has found that cholesterol-high foods are no longer believed to contribute to high blood cholesterol, so people can now indulge in shrimp, eggs and other foods that were once off limits, the panel said. Rather than focus on cholesterol, people should curb saturated fat to about 8 percent of the diet." The panel also said "up to five cups of coffee a day are fine so long they are not flavored with lots of milk and sugar," McDaniels writes. "The panel also singled out the Mediterranean diet—rich in fish and chicken, fruits and vegetables, nuts, whole grains, olive oil and legumes—for its nutritional value." After years of steadily losing population, rural Pickens County, Alabama, was the nation's fourth fastest growing county under 10,000 residents from July 2013 to July 2014, according to U.S. Census Bureau estimates released today, Brendan Kirby reports for Al.com. 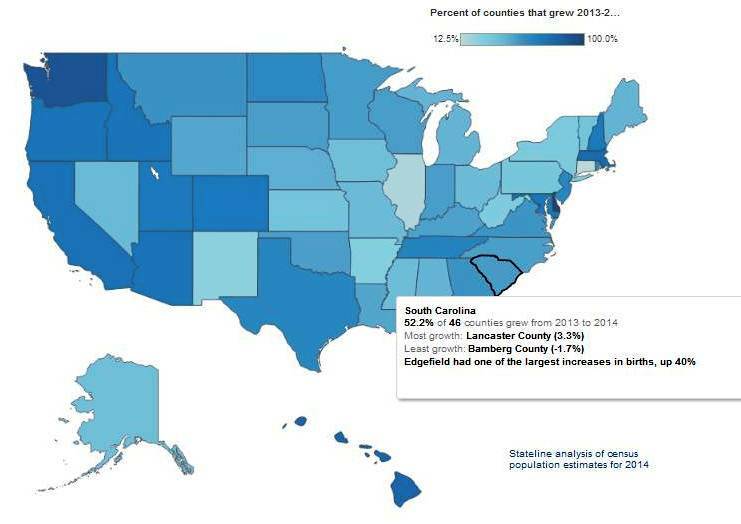 Pickens County, which has been losing population since 2000, had a 5.1 percent growth in the latest census. Officials credit the 2013 opening of a federal women's minimum security prison for providing jobs, boosting local sales and increasing the overall population. The nation's micro areas consisted of 27.2 million people in 2014, an increase of 13,000 from 2013, says the U.S. Census Bureau. Overall, 244 of 536 micro counties gained population from 2013. The Republican-led Senate passed a non-binding amendment on Wednesday to limit proposed Waters of the U.S. (WOTUS) rules that would re-define what bodies of water the Environmental Protection Agency regulates under the Clean Water Act, Philip Brasher reports for Agri-Pulse, a Washington newsletter. The amendment "spelled out various features that should be exempt from the anti-pollution law including isolated ponds, roadside ditches, irrigation ditches and stormwater systems." The Senate voted 59-40 in favor of the amendment—Sen. Ted Cruz (R-Texas) missed the vote but was expected to vote in favor of it—meaning there could be a filibuster-proof, 60-vote margin for a standalone WOTUS bill or amendment later, Brasher writes. The Senate is still short the two-third votes needed to overcome a presidential veto. Assembling 60 votes to challenge Presidential Obama on this issue could also give Majority Leader Mitch McConnell (R-Ky.) an issue that could be combined with his efforts to block the administration’s anti-coal rules aimed at climate change. 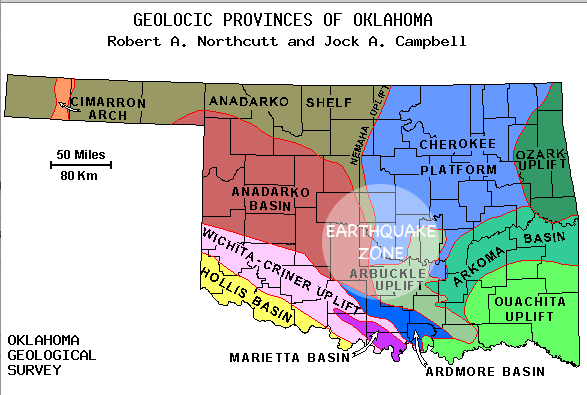 The Oklahoma Corporation Commission announced on Wednesday plans to expand scrutiny of disposal wells that could be linked to earthquakes to include wells within six miles of an earthquake swarm, Mike Soraghan reports for EnergyWire. OCC "defines a swarm as two earthquakes within a quarter-mile of each other if one of the quakes is magnitude 3 or greater. That will put another 350 wells that inject into the Arbuckle formation under that extra scrutiny." Oklahoma led the lower 48 states in earthquakes with 585 of magnitude 3 or higher in 2014, more than the state had in the previous 35 years combined. Officials have been slow to publicly link oil and gas operations to earthquakes and have faced industry pressure to quiet scientists who speak out about such links. Despite mounting scientific evidence linking disposal wells to earthquakes, many people, including Republican Gov. Mary Fallin, are not convinced the link exists, Soraghan writes in a separate story. "State Insurance Commissioner John Doak has warned insurance companies against denying claims based on the 'unsupported belief' that Oklahoma quakes are man-made. And the state's richest oilman, Continental Resources Inc. founder Harold Hamm, has said of quake activity, 'It's certainly not related to oil and gas activity.'" Counties are ranked within each state based on quality of life and length of life. 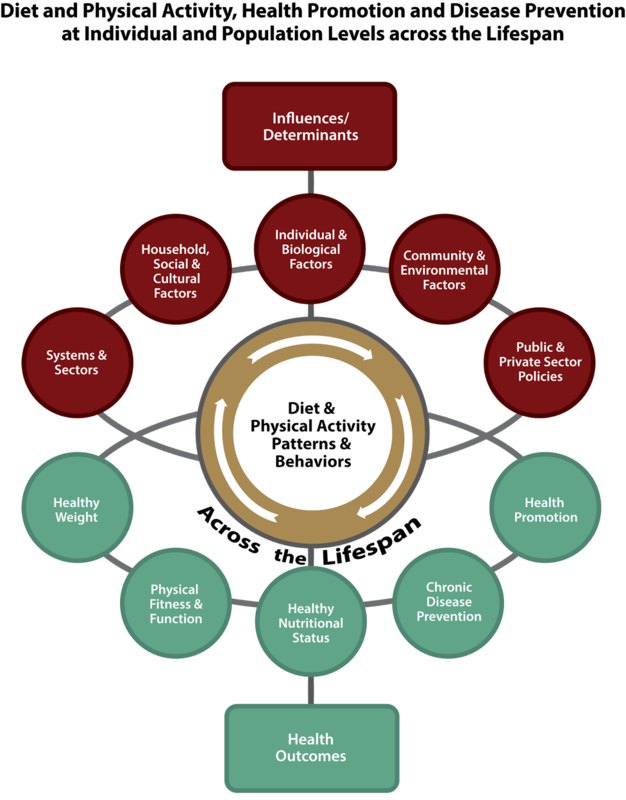 Thirty percent of the information is based on health behaviors (tobacco and alcohol use, diet and exercise, sexual activity), 20 percent on clinical care (access to care and quality of care), 40 percent on social and economic factors (education, employment, income, family and social support, community safety) and 10 percent on physical environment (air and water quality and housing and transit). The healthiest counties had lower rates of unemployment, children living in poverty, children raised in single-parent households, violent crime, smoking, vehicular deaths, sexually transmitted diseases, preventable hospital stays and housing problems. They also had higher rates of college attendance, more exercise opportunities, better air and water quality and more access to physicians, dentists and mental health providers. The least healthy counties had lower rates of high school graduates and access to exercise and mammograms. They also has higher rates of unemployment, income inequality, children raised in single-parent households, vehicular deaths, smoking, teen births, uninsured adults, housing problems and worse air and water quality. To search by state click here. One such farm is in Oldham County, Kentucky, near Louisville. The 150-year-old, 1000-acre farm is one of only 10 in the state to raise bison, Tiffany Kessler reports for The Farmer's Pride. 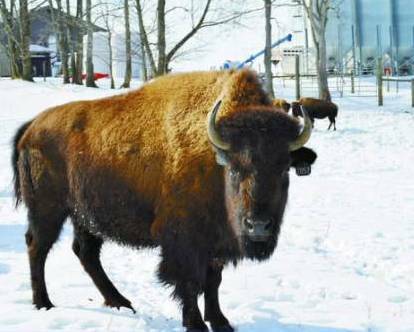 The farm's 300 bison recently switched to being grass-fed, which is cheaper than hay and is in line with consumer demands for the animals that grow to weigh between 900 and 1,100 pounds. Syracuse Unified School District in southwest Kansas is experiencing many of the changes and challenges faced in rural school districts across the country, Celia Llopis-Jepsen writes for The Topeka Capital-Journal. Syracuse's school district covers almost a thousand miles, and the bus travels for an hour and a half just to make four stops. The district includes about 550 students, which is the state's media enrollment. Challenges include low enrollment, travel distance to school, teacher recruitment, housing shortages and changing demographics. The difficulties have spurred some to move to larger towns and cities. "When you talk about how many students in western Kansas that we educate—they're not staying here," Sally Cauble, a member of the Kansas State Board of Education, said. "They will be our leaders. We better have them educated." Some students take advantage of the perks of attending a smaller school. For example, they have the opportunity to participate concurrently in a variety extracurricular activities, Llopis-Jepsen writes. The teachers carefully schedule practices so that enough students can participate in each one. Mallory Horton, a junior, is a cheerleader, a track and cross-country athlete and a member of the honors society and the academic quiz team. Lora Horton, Mallory's mother, said, "Being in a small school and having the opportunity to be able to be in different things—I feel like that has taught them how to multi-task and schedule." Unfortunately, because of the recession, Kansas education funds per student had to be cut from $4,400 to $3,937 over a two year time period. Kenneth Bridges, superintendent in Syracuse, said, "What happens in Syracuse next is we lose programs—art, music—start charging fees for athletics. The next step is to eliminate teachers and increase class sizes." To prevent negative outcomes, the school is considering changing to a four-day week—saving an estimated $100,000 to $120,000 per year—and postponing textbook purchases as well as combining two bus routes into one. Rural school districts "spend more per pupil, however, than towns do, have smaller student-teacher ratios and are less likely to have full-time superintendents," Llopis-Jepsen writes. The media student-teacher ratio in rural areas is 12:1, compared to 15:1 in towns, 17:1 in suburbs and 16:1 in cities, according to state data. Some oil and gas companies have begun asking property owners to sell mineral tracts outright, instead of signing a lease, a move that might look good financially to residents at the outset but could end up costing them down the road, Casey Junkins reports for The Intelligencer/Wheeling News-Register. It's a buyer-beware story that land owners should be sure to note. "The practice can be beneficial for property owners in that the up-front payment likely will be higher than what is offered through a lease agreement," Junkins writes. "But royalties are not included, and for tracts with true drilling potential, this could mean the loss of hundreds of thousands of dollars over the life of a lease." Tim Greene, owner of Land and Mineral Management of Appalachia and a former West Virginia Department of Environmental Protection inspector, told Junkins, "Lots of companies just buy them and flip them onto someone else. But if they buy all the minerals, that is it. You won't get any royalties or anything else. If getting $100,000 right now could change my life, selling out might be something I am interested in." The Department of Veterans Affairs on Tuesday changed its much-criticized interpretation of a law that was making it more difficult for rural veterans to receive medical care at facilities other than VA clinics, Ben Kesling reports for The Wall Street Journal. The 2014 Veterans Choice Act said that veterans who had to wait more than 30 days for an appointment or who had to travel more than 40 miles to a VA facility could instead get appointments at other locations, Kesling writes. But Veterans Affairs judged the 40 miles based on actual distance, not driving distance, a move that eliminated some rural veterans from going to health care facilities located closer to their homes. "The new rule allows veterans to plug directions into a commercial product such as Google Maps to calculate actual driving distance." The Maryland House on Tuesday passed a three-year ban on fracking, while the Senate approved tougher new legal standards for drillers, Erin Cox and Timothy B. Wheeler report for The Baltimore Sun. "Each bill must still clear the other chamber, but the actions signaled the legislature was willing to go further than it has before to limit natural gas drilling." "Maryland has been under a de facto ban for more than three years after former Gov. Martin O'Malley, a Democrat, put any permit review on hold while a commission studied the industry and his administration wrote regulations to enforce it," Cox and Wheeler write. "Those regulations are now languishing on the desk of Gov. Larry Hogan, a Republican, who has said he supports fracking and the jobs it would bring to economically depressed Western Maryland—as long as it can be done safely." 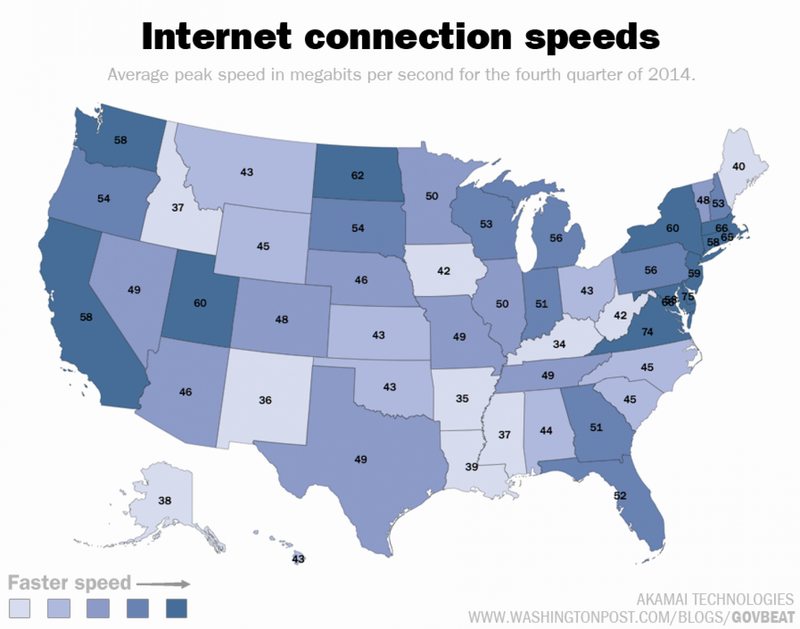 Delaware has the fastest average peak Internet speed in the nation, and 43 states "saw average peak connection speeds grow between the third and fourth quarters of 2014," says the State of the Internet report by Akamai Technologies, Niraj Chokshi reports for The Washington Post. However, several states with large rural populations continue to have significantly lower average peak speeds, with Kentucky leading the way with the worst average peak Internet speed in the U.S.
Have staff and volunteers from both organizations solicit applications and monitor public record battles at the state and federal levels for worthy cases. Give priority to cases that a) have a strong legal basis, b) have the ability to establish good case law, and c) will help citizens and journalists, regardless of the profession or standing of the plaintiff. Write or join amicus curiae briefs and/or intervene in cases where appropriate. Solicit other partners, when merited, such as state coalitions and other national access organizations. The Centers for Disease Control and Prevention (CDC) estimates that each year more than 48 million people get sick from foodborne illnesses, 128,000 are hospitalized and 3,000 die, Bergal writes. 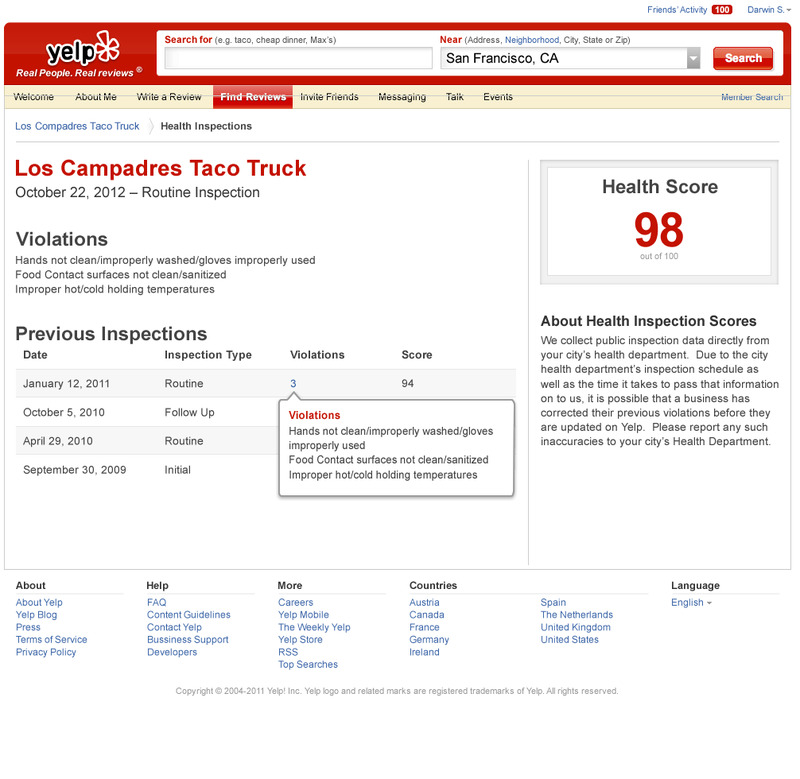 "About 60 percent of outbreaks come from restaurants, according to the CDC." Try the classic “Mathematics Competency Test for Journalists,” developed by Philip Meyer of the University of North Carolina, author of The New Precision Journalism, Educators can find a version of the test without answers here. The Centre for Investigative Journalism has produced a helpful report, “Statistics for Journalists,” which examines issues such as how averages can mislead and “regression to the mean.” Authored by Connie St. Louis, City University, London. Then see “Math Basics for Journalists: Working with Averages and Percentages,” from Journalist’s Resource. It’s a quick refresher. Interpreting and writing about academic studies can be tricky. For useful insights, see “Interpreting Academic Studies: A Primer for Media,” also from Journalist’s Resource. To get a taste of how quantitative researchers use data, check out “Regression Analysis: A Quick Primer for Media on a Fundamental Form of Data Crunching.” It takes you through a basic technique researchers use to look at the relationship between variables. Selvin notes that the nation's 7,000 non-daily community newspapers with a total circulation of about 65.5 million, and about seven out of 10 weeklies have a circulation of less than 15,000. "Often, local newspapers are the top source for news about a community, a source that has grown in importance as regional papers have pulled back from covering outlying communities over the past 15 years," she writes. "Weeklies with a strong editorial voice bring communities together—or stir debate—over issues of great local import." "While major daily papers have expanded their online presence, there is a robust debate as to whether, or how quickly, weeklies should attempt to move their communities online," Selvin writes. Some argue that weeklies should male the move now, while "the International Society of Weekly Newspaper Editors runs strongly in favor of maintaining an emphasis on print for reasons of revenue and community service." South Carolina is 10th in the nation in adult obesity, with 31.7 percent of adults obese in 2013, reports Ariel Gilreath. 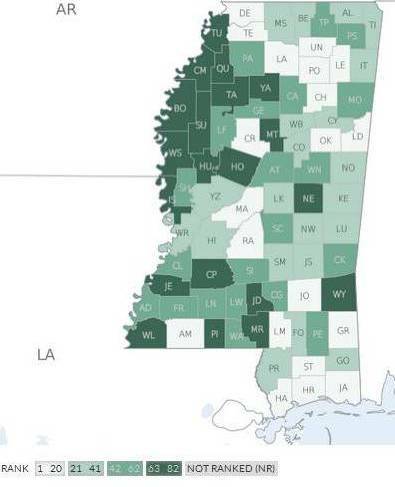 Even worse, the state is second in childhood obesity. The epidemic is particularly bad in rural areas. Dr. Patrick O'Neil, the director of the Weight Management Center at the Medical University of South Carolina, told Gilreath, "For various reasons, you do often see a higher prevalence of obesity in rural areas, and there's a lot of speculation as to why that might be, and the same is true for why is South Carolina near the top in obesity rates. We have some areas of much lower income, which also tend to be the rural areas, and lower income is associated with higher rates of obesity." O'Neil said the culture of the South supports obesity, Gilreath writes in a separate story. 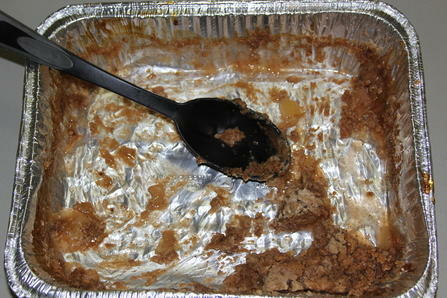 Some of the main problems are southern traditions that include foods and drinks high in fat or sugar, such as fried chicken, sweet tea and macaroni and cheese, that many rural residents eat as children and continue to eat as adults, serving their children the same foods. Fried foods and other fatty foods are often cheaper, something that appeals to people with lower incomes. And once someone gets accustomed to unhealthy foods, it becomes difficult for them to change their diet. Another rural Southern problem is a sedentary lifestyle, often caused by a lack of options, Gilreath writes. It's hard to ride a bike in an area with no sidewalks and roads in poor condition. Therese Moore, clinical dietician at Self Regional's Diabetes Education Center, "said the mindset of small, southern communities hinders people from healthy lifestyles." She told Gilreath, "You're looking at a perception that's not natural for people to walk where they need to go here, when you're living in a small town. And walking a mile is almost unheard of to go somewhere purposeful." Some winners of the 2014 Awards for Excellence in Health Care Journalism won for coverage of rural issues or work for news outlets with large rural audiences. The winners will be recognized at the Association of Health Care Journalists' annual conference in Santa Clara, Calif., in April. Markian Hawryluk of the Bend Bulletin in central Oregon was a double winner. Hawryluk won first prize for coverage of public health by smaller news outlets, for "The Risks of Home Birth." Hawryluk took peer-reviewed and government data and combined it with personal examples to bring attention to the "very high risks associated with home birth." Simeon Bennett and Stepan Kravchenko of Bloomberg Markets won second place for "Russia's Hidden Epidemic" of HIV. Third went to Brian Bienkowski of Environmental Health News for "Pesticide Use by Farmers Linked to High Rates of Depression, Suicides." This story is about the increasing evidence that long-term pesticide exposure can affect mental health, and a farmer who committed suicide after years of handling pesticides. Hawryluk won third place in investigative reporting for "Too Risky to Transplant." This story reveals changes in the Medicare organ transplant program that focus on patients one-year survival rates, which has prompted the rejection of riskier transplant patients and less-than-perfect organs. Hawryluk encourages journalists to go directly to the surgeons when looking for this type of data because transplant programs don't want to publicize any negative findings about their programs. First place went to Beth Daley of the New England Center for Investigative Reporting for "Unregulated Tests" and "Can you Trust Lyme Disease Tests?" Mary Beth Pfeiffer of the The Poughkeepsie Journal in New York won second for her series "Killers and Pain." These stories explored and exposed a painkiller-abuse epidemic, breaking new ground on a story that has been told before by placing the blame on doctors and the New York agencies that regulate them. For coverage of health policy by small outlets, first place went to Barbara Peters Smith of the Sarasota Herald-Tribune for a series titled "The Kindness of Strangers: Inside Elder Guardianship in Florida." This series describes how Florida courts can take elders who are unable to care for themselves under guardianship and gain control over their assets, even when family members are willing to take on that role. Critics of the process call it "liquidate, isolate, medicate. "Smith's advice to journalists when writing this type of article is to make sure to carefully vet stories from family members and consult with a lawyer when dealing with anyone who might be depicted critically. Lauren Sausser of the Charleston, S.C., The Post and Courier in Charleston, S.C, won second place for "Rural hospitals face emergency." Sausser reported the plight of rural hospitals across the country through the story of one. She wrote that many rural hospitals are struggling to stay open while working on tight budgets, being forced to merge with larger systems or closing. Sausser encouraged journalists to add color and context to such a story by going straight to the source for information. Third place went to Patrick Malone of the Santa Fe New Mexican for "True Cost of Care." This story exposed how markups on medical services affect patients with insurance and the uninsured and the role the markups play in hospitals' charitable status. Malone used a massive Centers for Medicaid Services report to gather his data and encouraged journalists to make sure they use the "truest and most representative" data, and include human voices to explain why the data matters. Justine Griffin of the Sarasota Herald-Tribune won second place in the small consumer category for "The Cost of Life," a personal narrative that delveed into the fertility industry and "shadow promises for the unsuspecting donors." The staff of Inside Climate News, the Center for Public Integrity and The Weather Channel won first prize in the large investigative reporting category, for for "Big Oil, Bad Air", a story focused on the role "oil-and-gas friendly legislators" in Texas have had on drilling permits and decreased regulations and the effects of airborne pollutants related to hydraulic fracturing. The coal industry's future looks "increasingly bleak" and could soon face "a wave of bankruptcies," says an investment note from Macquarie Research, Nick Cunningham reports for Oil Price. The main reasons are competition from natural gas, proposed rules to cut greenhouse gases and a reduction of foreign investors buying U.S. coal, which has led to shuttering of several coal operations. Now that spring is here and garden season has arrived, the National Children's Center for Rural and Agricultural Health and Safety has released an online booklet that helps adults decide "which tasks children should perform, what equipment they can use, what training they should receive and how much supervision is needed," says the center. Inspections were moved from the U.S. Food and Drug Administration to a more rigorous program at the U.S. Department of Agriculture, Nixon writes. USDA inspections, which are now more "like those conducted at meat and poultry processing plants, are conducted daily and are more rigorous than the sporadic checks conducted by the Food and Drug Administration." 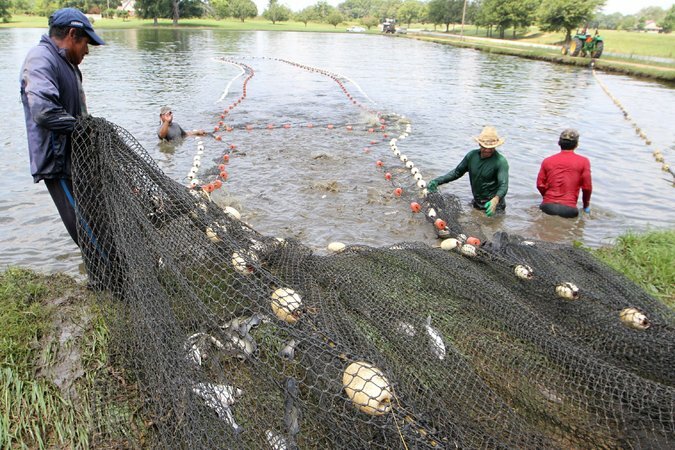 The U.S. catfish industry, mostly located in Alabama, Arkansas, Mississippi and Texas, has dropped from 133,000 acres in 2008 to 69,910 this year, Nixon writes. Industry officials blame the drop on higher corn prices used to feed catfish and lower-priced imports "primarily from Vietnam, which often undercut catfish raised in the U.S by $2 a pound. Those imports now make up about 75 percent of the U.S. market." Critics say the teenagers are exposed to cruel conditions, abuse and even death, Anderson writes. "Its proponents maintain that this type of isolation, away from the temptations and perils of society, can benefit youth who are straying down the path of addiction and dysfunction. They present a multitude of success stories and insist this type of therapy can be life-changing." 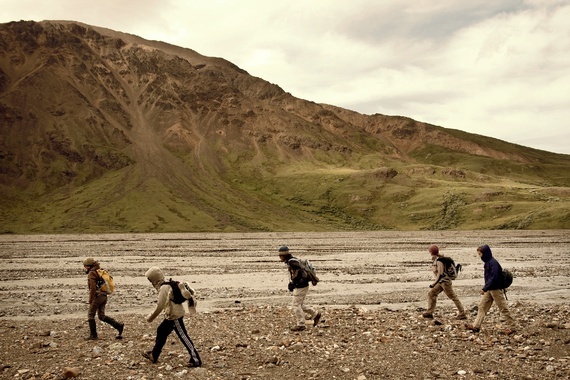 The U.S. Government Accountability Office compiled a 2007 report on the dangers of wilderness and other teen facilities, but no one knows for sure how many teenagers have died at the institutions, Anderson writes. The highest unconfirmed count is 86 deaths since 2000. One of the main problems is that "many states don’t require background checks for staff, and there have been multiple investigations into sexual abuse and arrests for sexual assault at teen residential and wilderness programs in recent years," Anderson writes. The fear is that untrained staff members are given free rein to do whatever they want to underage vulnerable teenagers. "Pig farmers around the world, on average, use nearly four times as much antibiotics as cattle ranchers do, per pound of meat," says a study published last week in Proceedings of the National Academy of Sciences, Michaeleen Doucleff reports for NPR. "Poultry farmers fall somewhere between the two." Researchers found that in 2010, the world used 63,000 tons of antibiotics for cows, chickens and pigs, which is twice as many antibiotics as those prescribed by doctors to fight infections, Doucleff writes. China is the biggest culprit of using antibiotics on pigs, but the U.S. is close behind in second, using about 10 percent of the world's total of antibiotics. Brazil, India and Germany round out the top five. "EQAT began as a tiny group, protesting in PNC bank branches and PNC-sponsored community events," Lakey writes. "We marched 200 miles across Pennsylvania to PNC’s headquarters in Pittsburgh. We learned to hold pray-ins, get arrested and disrupt shareholders meetings. We inspired people to pull over $3.5 million out of PNC bank deposits. 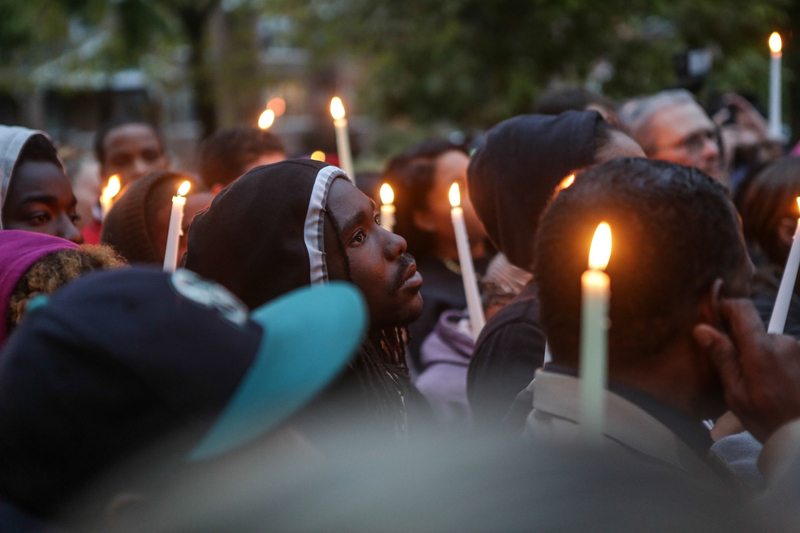 In December, EQAT pulled off 31 actions in 12 states and Washington, D.C., within 24 hours. 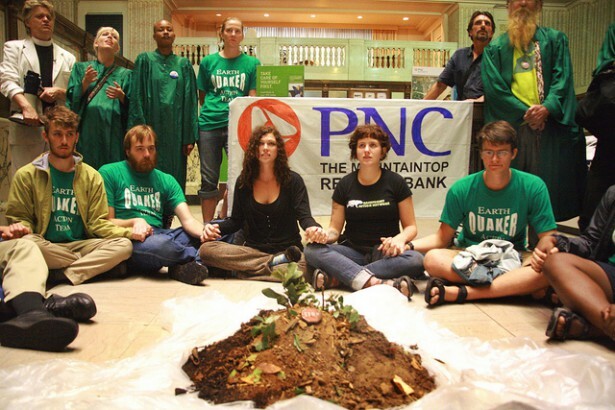 It became clear to PNC that EQAT was growing and would never go away until the bank changed." "The group made a number of decisions along the way that attracted criticism, even from some who agreed with EQAT that global warming is a threat," Lakey writes. "One was to focus on a bank instead of political authorities. The Environmental Protection Agency and politicians are the legitimate deciders on environmental policy, we were told. Why target a bank that is only doing its job? We chose our target believing everyone needs to take responsibility for their role in the unfolding disaster of climate change, including banks whose financial decisions have enormous consequences compared with most individuals and groups." The newspapers have a complicated history, born mainly out of spite. Founded in 1948, the Light won a Pulitzer in 1979 for reporting on the Synanon cult. It was sold in 2005 to Robert Plotkin, "a brash former Monterey County prosecutor who came to West Marin with a master’s degree in journalism from Columbia University in Manhattan and an intense personality that was more Grand Central Station than Point Reyes Station. 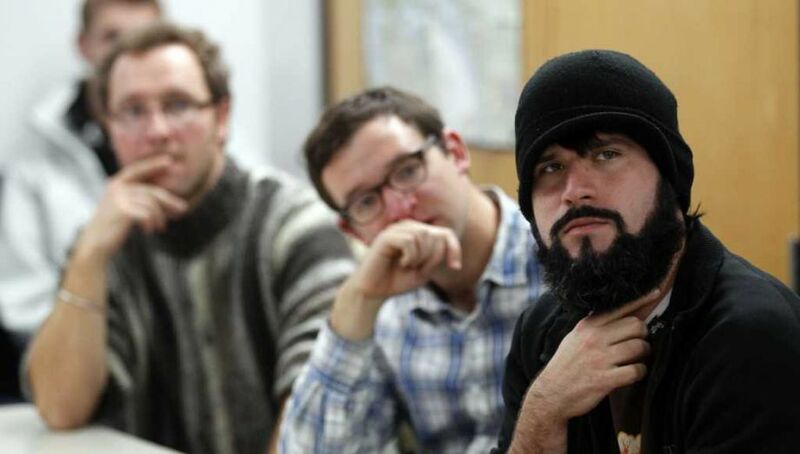 The then-35-year-old newcomer immediately raised eyebrows when he announced that his goal was to turn the Light into 'The New York Times of West Marin,' a pretentious remark that signaled to the many educated, liberal readers of the Light that this arrogant outsider had an unrealistic view of what small-town community journalism is all about." Joel Hack, editor and publisher of the Bodega Bay Navigator, disliked Plotkin so much that he launched the Citizen in 2007 to compete with the Light. Plotkin sold the Light in 2010, and Hack retired in 2011, turning over ownership of the Citizen to Linda Petersen, who had been advertising director. Since then, the papers have battled on a much smaller scale, mostly fighting for revenue, Liberatore writes. Their styles are completely different. The Citizen, "pretty much a one-woman operation, focuses on softer stuff, publishing features and photos contributed by local residents. The Light, with two full-time reporters, specializes in hard news." Meanwhile, a group of weeklies in the more populated part of Marin County has been sold. Chicken manure could soon be turned into viable energy. New Hampshire-based AgEnergyUSA "has teamed with poultry giant Perdue to propose a $200 million plant on the Eastern Shore to extract energy from chicken manure, offering its plan as a viable remedy for the farm pollution fouling the Chesapeake Bay," Timothy B. Wheeler reports for The Baltimore Sun. "Officials with AgEnergyUSA met in Annapolis last week with lawmakers, state officials, environmentalists and farmers, seeking support and legislation worth tens of millions of dollars for their project," Wheeler writes. "While some remain wary because little has come of previous plans for dealing with the Shore's poultry pollution, this one comes from a company with prominent partners." The company has already constructed a $100 million digestion facility to process cattle manure in Colorado.